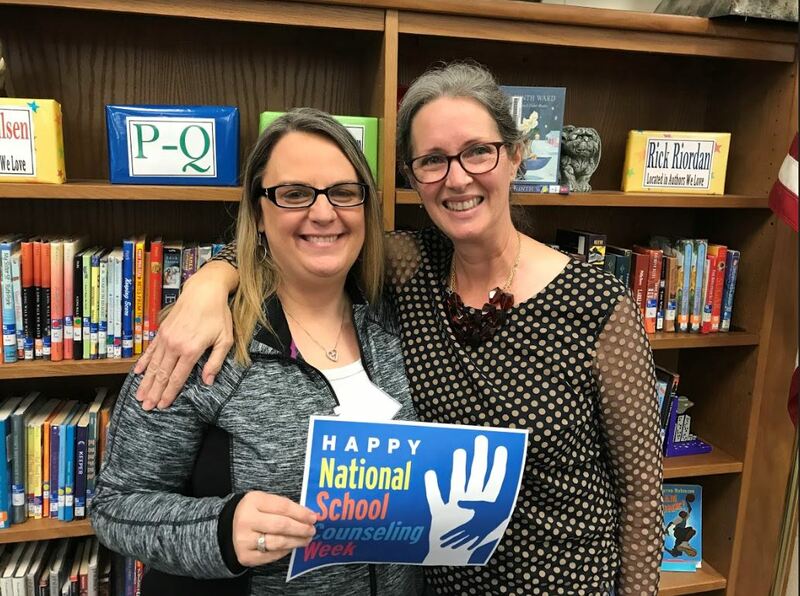 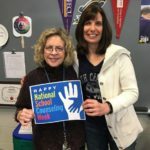 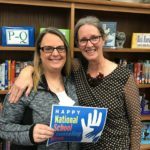 Benson Middle School Counselor Melissa Lee (left) and Benson Elementary School Counselor Susan Hage (right) celebrate National School Counseling Week. 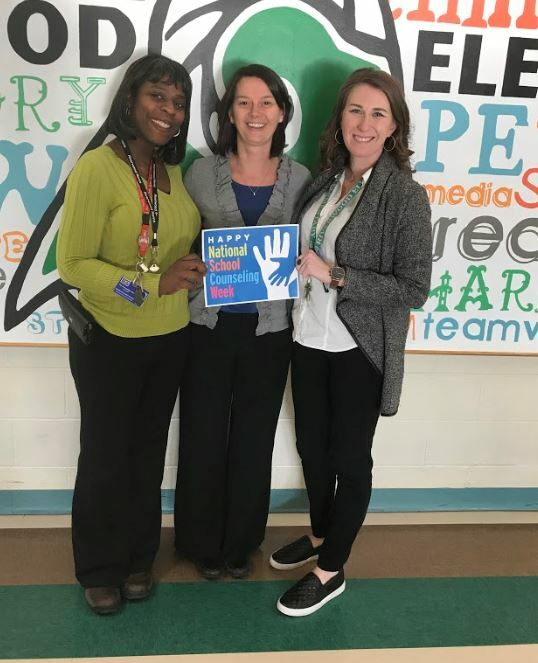 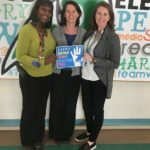 Riverwood Elementary School Principal Leigh White (center) celebrates National School Counseling Week with counselors Rae-Ann Headley-Allen (left) and Lauren Brown (right). 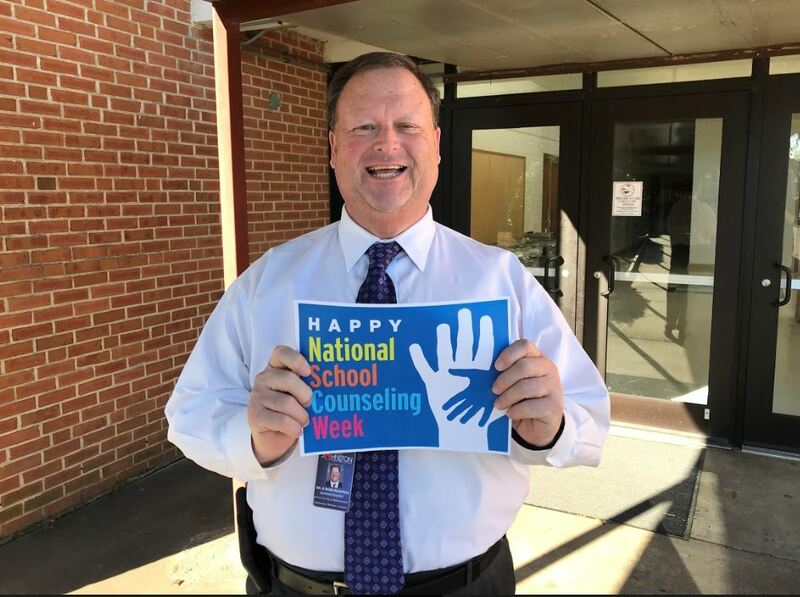 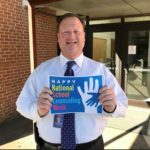 Johnston County Public Schools Superintendent Dr. Ross Renfrow celebrates National School Counseling Week by taking part in the #NSCW19 Photo Challenge. 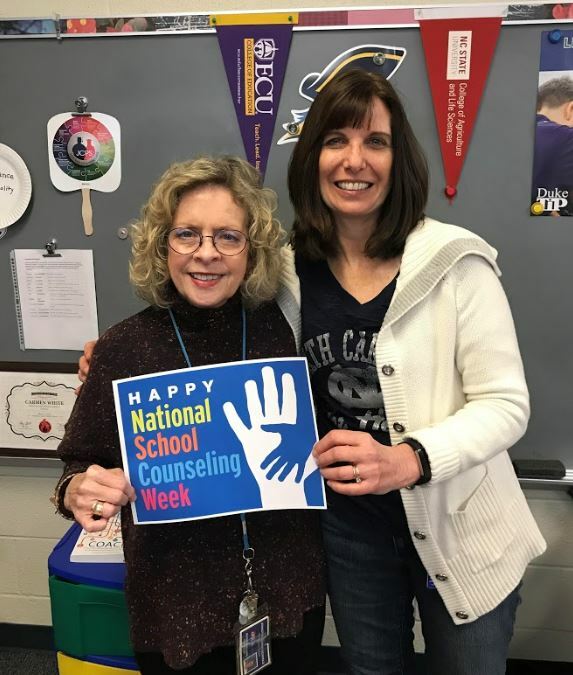 McGee’s Crossroads Elementary School Counselors Bonnie Callahan (left) and Carmen White (right) celebrate National School Counseling Week.